Electronics Discovery Kit Just $17.50! Down From $35! You are here: Home / Great Deals / Amazon Deals / Electronics Discovery Kit Just $17.50! Down From $35! Amazon is currently offering this Electronics Discovery Kit for just $17.50 down from $34.99 PLUS FREE shipping with Amazon Prime or for orders $25 and above! Build 101 different electronic projects. View larger. Snap Circuits Jr. SC-100 Electric Bombing Game View larger. 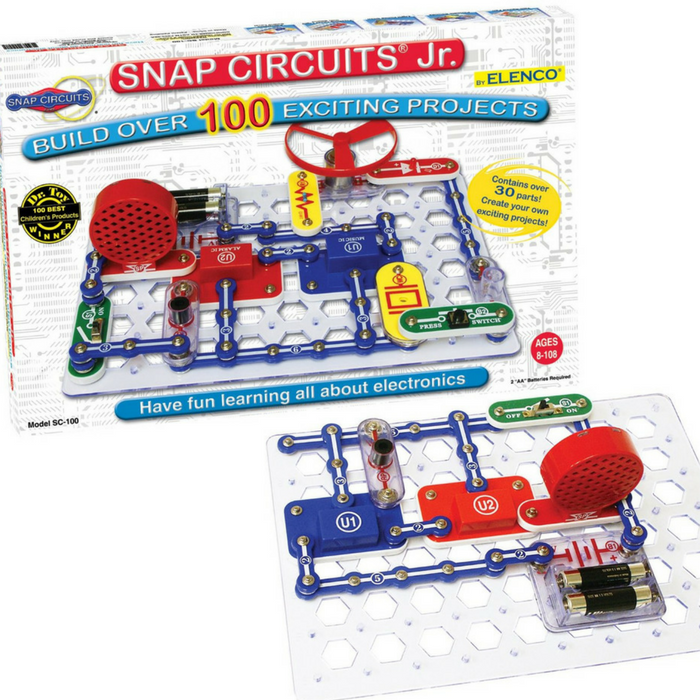 Create Working Electronic Circuits Snap Circuits comes with over 30 pieces to create 101 different electronic projects. The pieces, which include snap wires, slide switches, an alarm circuit, a music integrated circuit, and a speaker, snap together easily on the included plastic grid–no soldering required. Each piece is numbered and color-coded to make identifying them easy. These components combine to create working circuit boards just like the ones found inside televisions, radios, and other electronic devices.